In today’s market of low inventory and homes selling very quickly (often with multiple offers) I have had many conversations with folks recently which boil down to essentially “all I need to do is stick a sign in my yard and it will sell, so why hire a Realtor and pay the fees?” And that is a great question, afterall we are all looking for value and to save money. 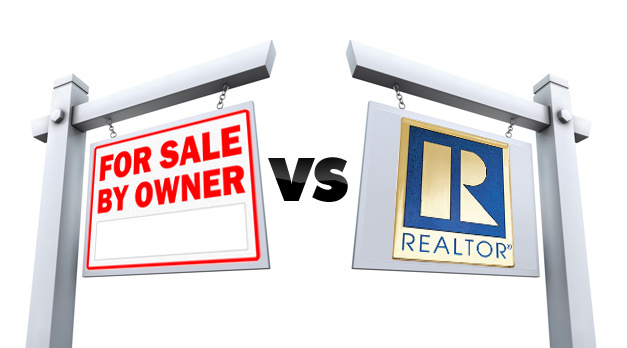 So I thought I would take some time to drill down on this scenario so that if you were considering trying to For Sale by Owner (“FSBO”) you truly understand the pros and cons. There have been many articles and tons of research done on this very subject, which you can Google for yourself, so I thought I would focus on a few key points: Cost, Value, and Liability. FSBOs accounted for 8% of home sales in 2015. The typical FSBO home sold for $185,000 compared to $240,000 for agent-assisted home sales. The national data shows that FSBOs sell for 10% LESS than similar homes in the same market that are represented by a Realtor. Assuming a typical commission of 6%, you are already behind the 8-ball in this scenario, and that is not even taking into account all the expenses incurred to list and market the home. Signs, photography, lockbox, flyers, mailers, online marketing, etc. – it all adds up! In addition, 18% of FSBOs were not able to sell within their chosen timeframe last year – if you are selling in order to move into a new home, this has an associated cost with it, whether it is losing that new home or having to pay two mortgages. Then there are the intangible costs associated with someone trying to do a job which they have no training or experience with: how much money is left on the table with negotiating price, closing costs, repairs, appraisal disputes, etc? Those questions bring us to VALUE. This is my full-time job. I have been doing it for over a decade, sold hundreds of homes and taken hundreds of hours of training, and dedicate 40-60+ hours a week to it. Do you have a full-time job? Do you think that I could do your job as competently as you do? I try to never take on more than 4 clients at one time because I don’t feel I have enough time to fully dedicate to each one if I do. Assuming I am only working 40 hours a week, that means each client is getting at least 10 hours a week dedicated to them. Do you have the availability to dedicate an additional 10 hours a week to selling your home on top of your full-time job? Are you able to leave your full-time job in the middle of the day to accommodate showings, inspections, appraisal, etc? Are you available to take calls at all hours of the day and night? In addition, I understand the market and what buyers are looking for. I can’t tell you how many times I have met with new sellers who were convinced they needed to spend $25,000+ renovating their kitchen in order to sell their home. As part of my pre-listing consult, I help identify what updates will help get them the biggest bang for their buck, which is based on my years of experience and real-time experience working with buyers so I know exactly what trends are hot and what makes sense to spend money on. I have rarely had sellers spend more than $5000 on updates after that consult, and usually it is more like $2500. HGTV is not the place to get your advice from – a professional is! I have decades of experience, knowledge, and training specific to getting your home sold. I understand the ins-and-outs of our contracts. I negotiate for a living. I have boat loads of been-there-done-that experience to help forestall any objections or issues and find solutions to them when they arrise (and trust me – something always comes up). And this brings us to LIABILITY. The 2015 National Association of Realtor’s Profile of Homebuyers and Sellers showed that understanding paperwork was one of the most difficult tasks for FSBOs. There are a variety of legal forms required to sell a home in Georgia, and an error filling them out can be incredibly costly. Do you know if your home requires a Lead Based Paint exhibit? Do you understand disclosure laws? Everyone makes mistakes. I carry E&O insurance to cover the rare instances where I do. Unless you have a Realtor representing you, those mistakes are much more likely to happen and will fall on you. This is a litigious society unfortunately, and you are opening yourself up to a lawsuit trying to do this on your own. These are just some of the pitfalls of trying to do this on your own. Perhaps the best example of how tough this really can be is in the founder of ForSaleByOwner.com, who tried unsuccessfully to FSBO his own home a few years ago. It languished on the market for months until he finally hired a Realtor. The home sold with multiple offers for $150,000 OVER the original list price once he hired a professional. So the bottom line is this: hiring a pro will help save you money and time while minimizing stress and liability!